I wish that I could drink sweet tea day in and day out but there are some times that I can’t drink it at all because the acid is just too much for me. In those times I can sip on herbal tea and get the hydration I need with a nice taste that I crave. Recently I’ve gotten into hibiscus tea. Down here in South Texas they call it Agua de Jamaica or Jamaica for short. This is pronounced Huh-my-cuh rather than the way you’d say the island. 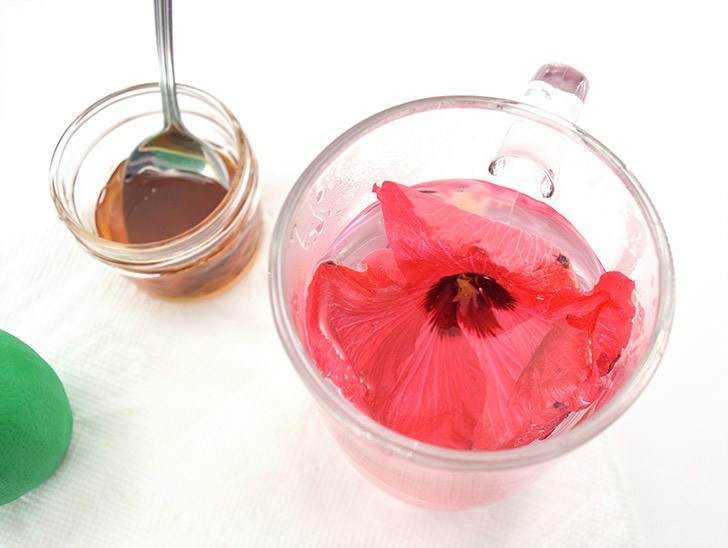 Hibiscus tea actually does come from hibiscus flowers. 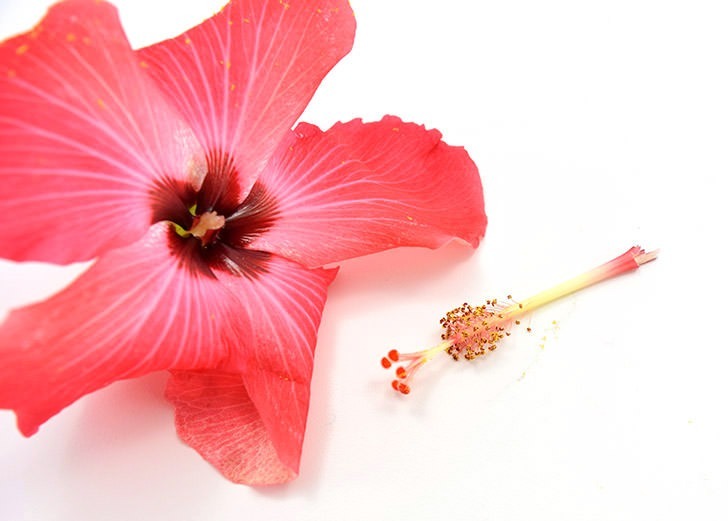 In fact, you can snap a few flowers off of your hibiscus bush at home to make a nice, hot cup of tea fresh from your garden. And, yes, this really is just as much as it sounds. From what I understand it is believed that all 40+ hibiscus plants produce flowers that are edible for humans (but never for dogs, FYI) but it isn’t known for a fact that all hibiscus is edible so I’d strongly suggest you ask someone with the knowledge of such things (like the person you buy your hibiscus plant from at the nursery) prior to brewing up your own batch of hibiscus tea. When growing your own flowers for tea never, ever use any sort of chemical, like pest sprays on the plant. If you can’t grow this sub-tropical plant due to weather conditions or a general black thumb, you can also purchase dried Jamaica leaves at places like Amazon. I tend to purchase locally at a fruit stand or a health food shop. If you’ve never had it, hibiscus tea is very tart and tastes a lot like cranberry juice. Because of this Jamaica is pretty much always sweetened with sugar, honey or Stevia before serving. It contains loads of vitamin C so it’s great when you’re feeling a bit droopy, like a cold might be coming on. So it’s tasty, healthy and fun… Want to know how to make it straight from the garden? Let’s get it! 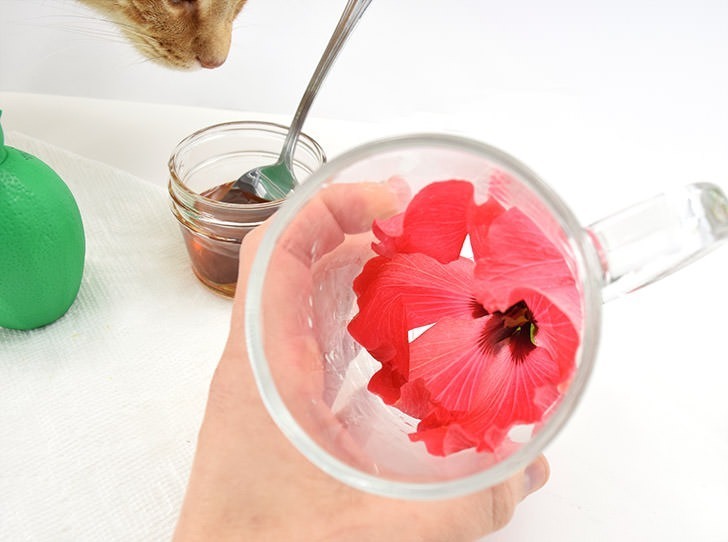 Pluck 1-2 hibiscus flowers per mug of hot tea. Remove the stamen leaving the petals and the green part on the back that holds them together. Wash the flower and pat dry. 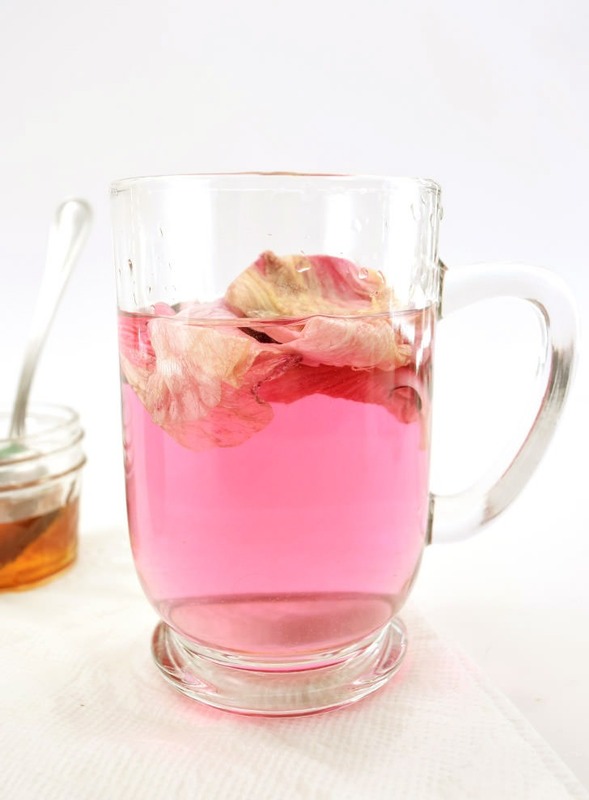 Place the flower in a glass mug for the prettiest presentation. 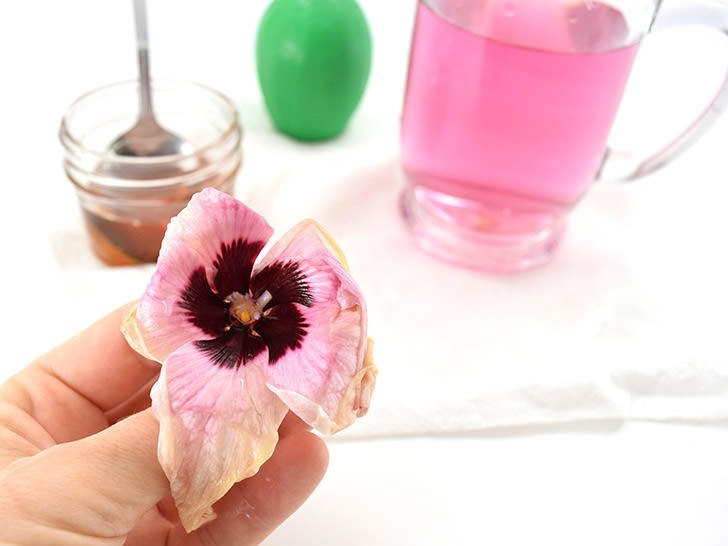 Pour boiling water over the flower and allow to steep. I tend to leave mine about 10 minutes. A stronger flavor can be made using 2 flowers or less water. As the tea is made the flower the color will leach into the water. The bloom will turn from a vibrant pink to a dull flesh-tone to weird yellow color as this happens. 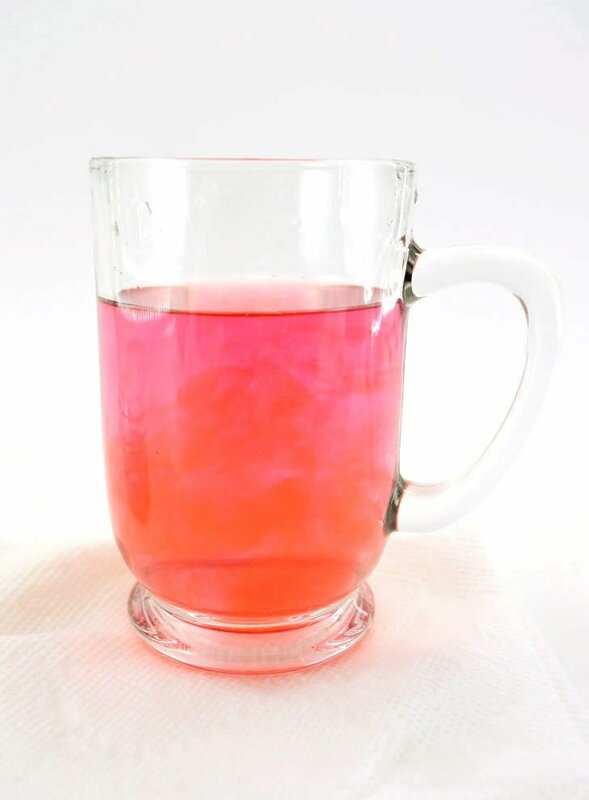 To turn the pretty pink into an amazingly vibrant red/pink squeeze a bit of lime juice into the glass once steeped to your preferred strength. 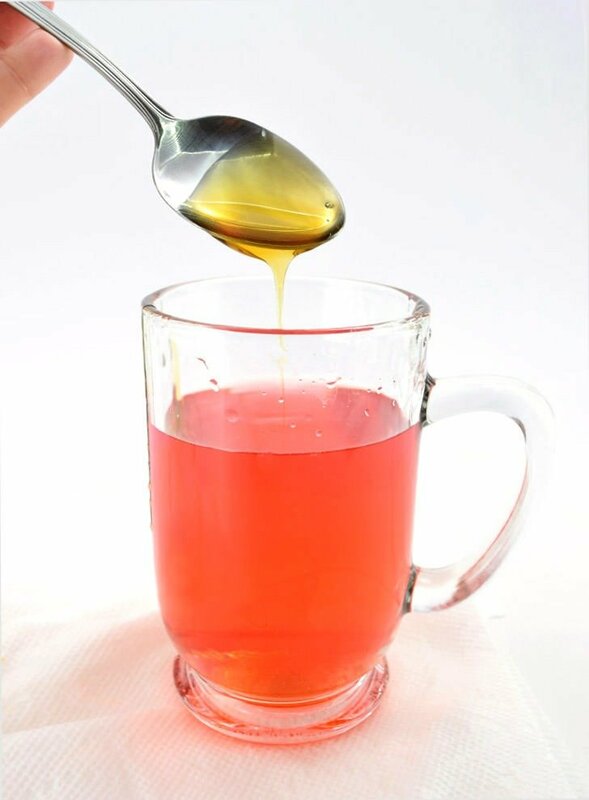 I prefer to sweeten homemade hibiscus tea with white sugar (and a lot of it) but I’ll also use honey, especially if I have a raw throat. I really, truly love making homemade Jamaica because it’s so pretty. 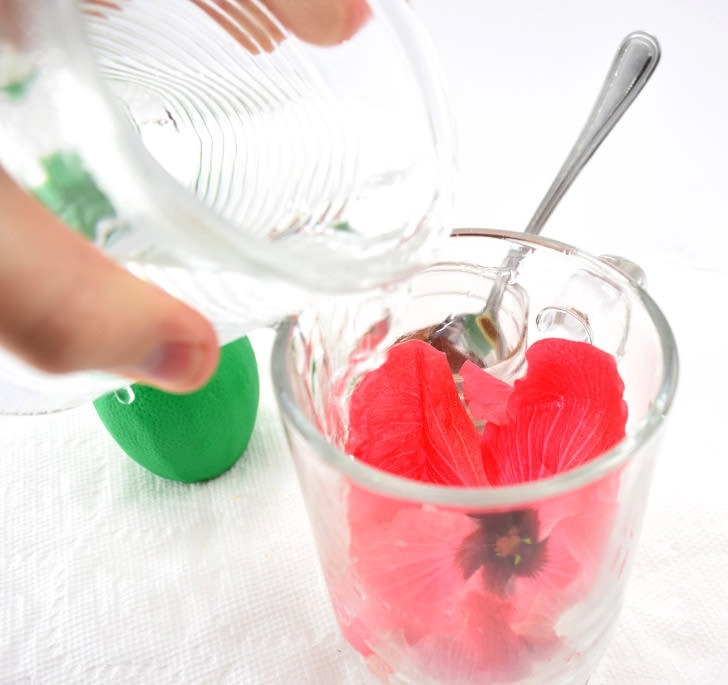 And can you imagine serving up little glass mugs with a bright pink flower in them to guests? I’m sure everybody would be amazed! This bright pink drink isn’t just pretty, it’s also packed with vitamin C and healthy! 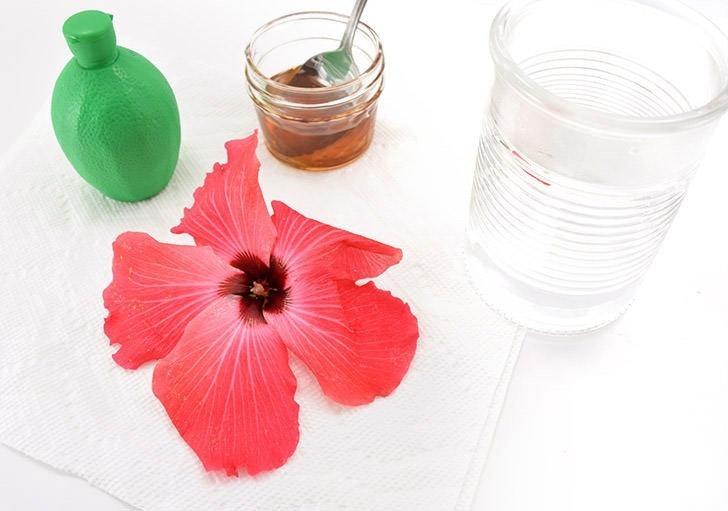 Pluck and wash your hibiscus flowers. Place in a glass mug or cup and pour hot/boiling water over top. Allow to steep until water is bright pink and the color has mostly leached from the flower, or about 10 minutes. Add a squeeze of lime juice, or other citrus, to turn the beverage a vibrant, dark pink color. Sweeten to taste with honey, sugar or Stevia.